Online Launch: Sombath Symposium on "Humanity and Nature: Traditional, Cultural and Alternative Perspectives"
the Sombath Symposium discusses knowledge and practice drawn from different cultures and traditions that can serve as an alternative foundation to the predominant growth-driven development model. An economy is often defined as "the wealth and resources of a country or region". Few would contest that the greatest wealth and most fundamental resource for humanity is the earth on which we live; yet most do not see our environment as an economy in itself. Conversely, nearly all contemporary economic and development models see the natural economy as a resource to be exploited (or at best managed) to serve the needs of the monetized economy. While this perspective is certainly predominant, it is neither intrinsic nor universal. It is also increasingly proving to be unsustainable. Focus on the Global South and The Sombath Initiative, in cooperation with Heinrich-Böll-Stiftung Southeast Asia, held the Sombath Symposium on February 15-17, 2016, to present and discuss knowledge and practice drawn from different cultures and traditions that can serve as an alternative foundation to the predominant growth-driven development model. Share traditional, cultural and alternative perspectives on humanity’s relationship with nature among a diverse group of 25-30 practitioners from the Asian region. Explore common characteristics among these perspectives and bodies of knowledge, as well as challenges posed by current development and economic models. Document and disseminate these findings through printed materials, a video, and a public panel discussion. Initiate a series of such events to carry forward the ideas and ideals of Sombath Somphone. The first one and one half days of the symposium consisted of participants presenting their topics, followed by questions and facilitated discussion. These were documented in writing and video during the sessions. The next part of the symposium were devoted to identifying and elaborating common threads among the different perspectives and the challenges they face. These two rounds of discussion were conducted in round tables consisting of participants. The symposium focuses on sharing and learning about different systems of knowledge and practice, and building synergy to shape future practices among broader groups of people. 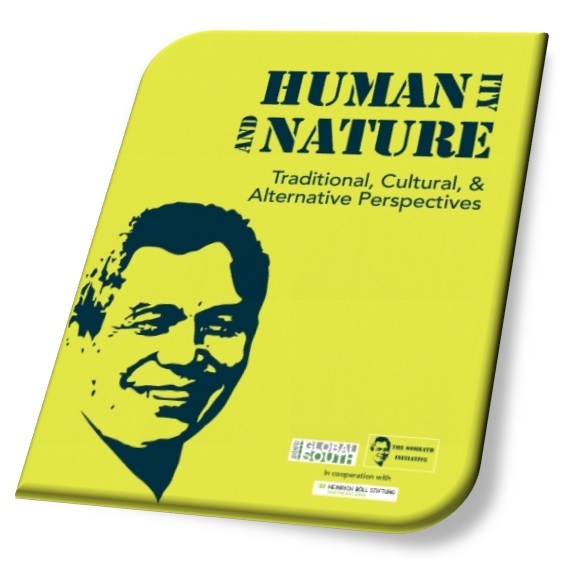 This publication, Humanity and Nature: Traditional, Cultural and Alternative Perspectives", compiles essays discussing these perspectives, as well as syntheses of the different parts of the symposium. The Sombath Initiative and Focus on the Global South hope that this publication will serve as resource material, as well as a guide document for the ongoing and future work on alternative perspectives on humanity’s relationship with nature. Full videos of each presentation/session are available to watch at The Sombath Initiative YouTube channel. Sombath Somphone is a prominent and much respected pioneer and development activist in Laos who had spent most of his life working towards a genuinely sustainable path for the development of his homeland and the ASEAN region. The wide range of his work-focus includes areas of sustainable farming, food security, eco-friendly technologies (such as organic fertilizers, garbage recycling, fuel-efficient stoves, new processing techniques for small agribusiness enterprises, etc), micro-enterprises, environmental education, youth training and networking, as well as emerging social issues (like drug-abuse prevention), gross national happiness and the creation of engaged Buddhists’ networks. His initiatives integrate his personal life experience, originating from a poor family background in Laos, encompassing his educational pedigree having studied abroad in the US, reaching to his immediate experience as development activist in Laos and ASEAN for decades. His work has received a high level of recognition nationally, regionally and internationally. Among the awards he received was the 2005 Ramon Magsaysay Award for Community Leadership, the Gwangju Prize Special Award for Human Rights (2015), and the Human Resource Development Award for empowering the rural poor in Laos (from the United Nations Economics and Social Commission for Asia and the Pacific). "One of the most respected and influential voices for sustainable people-centered and just economic and social development in Laos", is one of the descriptions that defined his impact and role. Mr. Sombath disappeared in Vientiane/Laos in the evening of 15 December 2012, and his whereabouts remain unknown to date.